Ronald H. Rozensky, Ph.D., ABPP, has been named the recipient of the Raymond D. Fowler Award for Outstanding Contributions to the American Psychological Association. 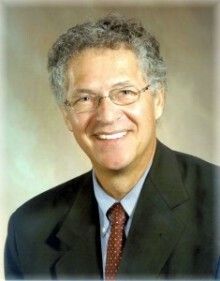 Dr. Rozensky is Professor Emeritus in the Department of Clinical and Health Psychology where he served as Department Chair. He also was Associate Dean for International Programs in the College of Public Health and Health Professions. The Fowler Award, named after APA’s long time CEO and former APA President, recognizes an APA member who has had a significant and enduring impact on the APA as an organization and who has shown a clear dedication to advancing the APA’s mission. Dr. Rozensky will receive the award at a ceremony at the APA Annual Convention in August, 2019, in Chicago, IL.